Selfies are already a passé and the latest craze for youth are the stickers and GIFs, thanks to their uniqueness and instant connect through visuals. 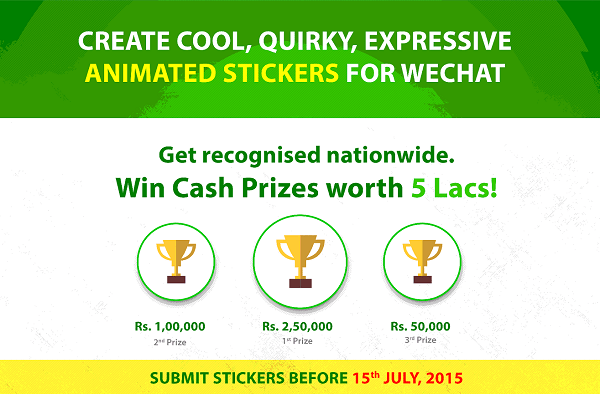 To capture this trend, WeChat has launched a creative sticker design challenge for all Indian students studying design to create quirky and fun animated stickers for WeChat users. The winning sticker entry will be featured in the sticker gallery of WeChat, one of the most innovative communication apps in the world. Not only will the students get a chance to showcase their talent through this platform, but the winners will also get an exciting prize money worth Rs. 5 lakhs. Animated stickers are uniquely available only on WeChat among all messaging apps available in India, and hence, the challenge gives a chance to Indian design students to get their stickers recognized and used by millions of youths and WeChat users in India. WeChat’s animated stickers are the app’s one of the most popular feature and are very popular among youngsters. Till date, WeChat has launched over 40 sets of local animated stickers in India showcasing several moods, one-liners, and the ever popular Bollywood style. Out of these, some of the popular stickers are – Angry Aunty, Mona Darling, Jabbar, Nautanki Baba, and also local lingo stickers like Bol Daal and many more. 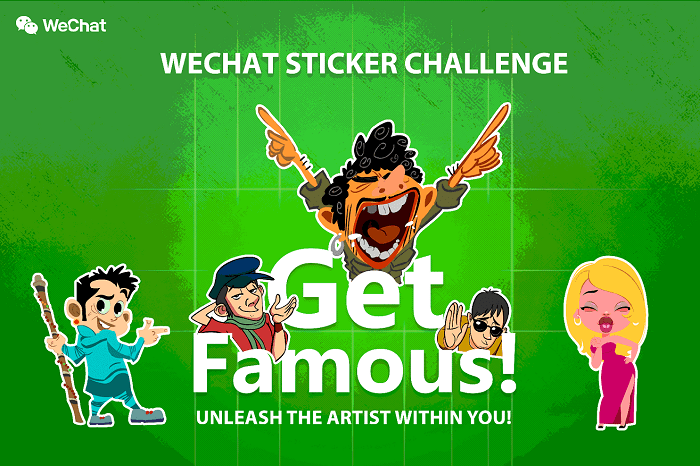 So get set to create imaginative and expressive stickers, and be famous on WeChat.